… The psychotherapist-patient privilege is an important aspect of patient privacy. As has previously been written about in these pages, the privilege generally “belongs” to the patient and can be claimed (asserted) or waived by the patient. It is different from confidentiality. Privilege involves the right to withhold testimony in a legal proceeding. The privilege, however, is not absolute. 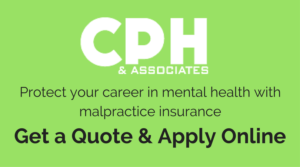 Thus, there are times when the privilege may not apply – such as, when the patient has put into issue in a lawsuit his or her mental and emotional condition. This typically occurs when the patient alleges that he or she suffered mental and emotional distress as a result of the negligence of the defendant. In most, if not all, states, it is possible for the patient’s attorney to seek a protective order in order to suppress disclosure of particularly sensitive matters. This can be done in situations where the information is highly embarrassing or prejudicial, but of little probative value. While each case is different, be assured that the lawyer on the other side of the issue will likely argue against the issuance of a protective order. In such situations, it is important for the practitioner to be aware of the content of his or her records, and to alert the patient to the fact that disclosure may be compelled because of the apparent waiver of the privilege by the allegation in the lawsuit of mental and emotional distress or psychological harm.